When a cosmetic dentistry procedure becomes popular in the Belmont, Comstock Park, Grand Rapids, Sparta, Walker and Rockford, MI, areas, it’s natural to want to experience the dramatic results for yourself. However, responsible dental patients should know what the American Dental Association has to say regarding common cosmetic dentistry procedures such as teeth whitening. The ADA advises patients to meet with their dentist before starting any bleaching regimen. An oral examination that is in-depth will help your dentist to know if tooth whitening is for you. This is especially vital when you have dark stains on your teeth or multiple crowns and/or fillings. Or, you and your dentist may choose to have your teeth whitened in the office. Zoom in-office teeth whitening takes much less time than at-home whitening. Also, if you are shopping for whitening tooth products at your favorite Grand Rapids, Walker, or Sparta drugstore, be sure to look for the ADA Seal of Acceptance. Along with tooth whitening, there are many other innovative cosmetic dentistry procedures your dentist can recommend, which will help you achieve the dazzling smile you want. These include dental implants, bonding,veneers, and more! We are dedicated to oral health and happy patients. 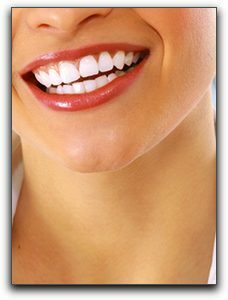 We help our cosmetic dental patients love their smile! If you have any questions, please feel free to give us a call at 616-784-2377. A member of the friendly and thorough staff here at Stewart and Hull Aesthetic and General Dentistry would love to set up an appointment for you.